Do you find that no matter how much rest you have, you are still tired… forgetful … hoarseness of the voice…difficulty swallowing? Increased energy, less brain fog, weight loss, improved digestive functioning and overall immunity are just a few improvements that you can expect. A natural treatment protocol is an effective therapy that puts you in the driver’s seat when it comes to taking control of your health. Hashimoto’s Thyroiditis could be the cause. One of the most common underlying causes of thyroid dysfunction are disorders of the immune system; Hashimoto’s Thyroiditis being the most prevalent disorder resulting in thyroid hormone deficiency which affects many more women than men. In this case, antibodies are produced that attack the thyroid gland. In the early stages as cells are being destroyed, the thyroid releases thyroid hormone causing symptoms such as anxiety, diarrhea, tremulousness, and rapid heart rate. Over time, as more and more thyroid cells are destroyed, a true hypothyroid condition develops. 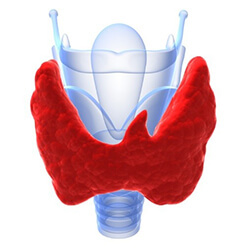 Learn more about our Hashimotos Thyroiditis Doctors that will serve you in the Denver Metro area. The exact cause is unknown, but many factors can play a role. Genetic predisposition Individuals with Hashimoto’s often have family members with thyroid disease or some other autoimmune conditions. In addition, people with Hashimoto’s tend to develop other autoimmune conditions such as Lupus, Rheumatoid Arthritis, and Celiac disease. Stress, one of the precipitating events may disrupt the immune system and trigger the production of thyroid antibodies. Infectious agents including Coxsackie B virus, Yersinia Enterocolitica, Epstein Barr Virus, Mycoplasma, E. Coli and Helicobacter pylori, a bacteria resulting in gastritis and ulcers have been found in many patients with autoimmune thyroiditis. Nutritional deficiencies are frequently found in Hashimoto’s patients, such as low iodine, zinc, selenium and iron. Many of these deficiencies are a result of a significant rise is the consumption of processed food and sugars. Pregnancy tends to be a strong precursor to Hashimoto’s due to heightened activation of the immune system in addition to environmental toxins and heavy metal toxicity. What Are Typical Symptoms of Hashimoto’s Thyroiditis? How Do We Diagnose Hashimoto’s? Anti-thyroid antibodies are markers in the bloodstream that are released by the immune system where there is an immune attack on the thyroid. High concentration of these antibodies typically indicate autoimmune thyroid disease. These antibodies include Antithyroglobulin and Anti-thyroid peroxidase (anti-TPO) antibodies. The anti-TPO is the most sensitive test, although 10-20% of patients with Hashimoto’s do not have high antibodies. Once elevated antibodies have been found, a diagnosis is confirmed. Specialized testing at New Spring Integrative Medicine would include free T3, free T4, TSH, reverse T3 and thyroid antibodies. With this information, we can intervene early and quickly in order to stop the progression of the disease. What Are Treatment Options for Hashimoto’s? Typically, physicians who see a slight rise in antibodies tend to wait and watch and re-evaluate over time. However Dr. Sainer sees early intervention as key to preventing the progression of the disease. Standard of care in the medical community has been Synthroid or Levothyroxine, however many patients do not improve clinically on this therapy. Other therapeutic options such as dessicated thyroid i.e. Nature-throid or Armour thyroid or compounded T3 and T4 are recommended. 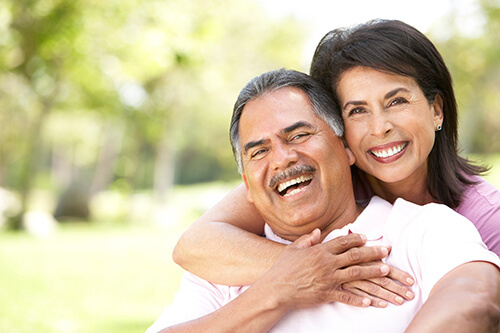 In addition to thyroid hormone replacement therapy, other means of treatment can be helpful. Selenium, which is an anti-oxidant protects the thyroid gland from further damage and facilitates the conversion of T4 to T3. Vitamin C and Magnesium can be beneficial as well. Low dose Naltexone (LDN) is effective for many autoimmune conditions and can decrease the levels of antibodies. Treating the virus or bacteria associated with this condition is helpful, as well as treating Leaky Gut, “IT’S ALL IN YOUR GUT”. Finally proper nutrition plays a large role in the management of Hashimoto’s Thyroiditis since there is a high correlation of Hashimoto’s with Celiac Disease, and Non Celiac Gluten Sensitive Enteropathy. Eliminating gluten from your diet may be life changing when combined with other treatments.